Note: A review copy was provided by the author via Give Me Books Promotions. Hazel James is a new-to-me author and while her Battles series starter wasn't perfect (but then no single book can really be deemed "perfect", right? ), I was left rather impressed with the story she told and the cast of characters that she introduced her readers to. 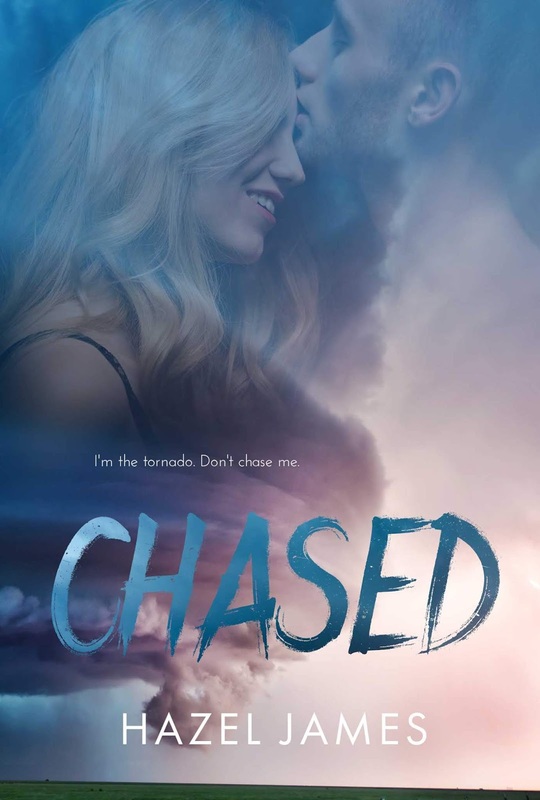 Chased is the story of twenty-four-year-old former pararescuer turned mechanic and amateur storm chaser Andrew Lucas Rhoads--better known as DH--and twenty-two-year-old emergency room nurse Paige Moore. When Paige decided to move to Oklahoma to begin her nursing career, she was aware of the risks involved when it come tornadoes. After all, her love for all things The Wizard of Oz opened her eyes to just how powerful this particular natural event can be. Instead of meeting a set of wondrous creatures, she crosses paths with DH, who is rather wonderful albeit a tad overly flirty. There's no way she can get involved with the guy, no matter how attracted she may be. She's got a long-term boyfriend back in her hometown, and on paper, he's the perfect man for her. So, what is it about DH that makes her want to throw caution to the wind? But then falling for Paige is one risk DH may not be willing to take, not when he's already lost someone close to him. Losing Paige is the one risk that DH isn't--and probably will never be--prepared for. Learn more about Hazel James.